For those of you who have had driving lessons before, whether you’ve passed your test or not, I’m sure you’ll have had at least one traumatizing experience. Maybe you stalled the car at a busy junction. Maybe you ran a red light or maybe you drove onto the curb by mistake. Either way, it can make you feel very anxious. But do you know what’s more traumatizing? Having driving lessons with your mom and dad. I know, I couldn’t think of anything worse! My mother and father would have driven me insane (pardon the pun) if I had to go on a lesson with them. But thankfully, I’m not alone – this guy has documented the real stresses of doing lessons with his parents. Now, in their defense, he doesn’t appear to be a very good driver which makes this all the more humorous. 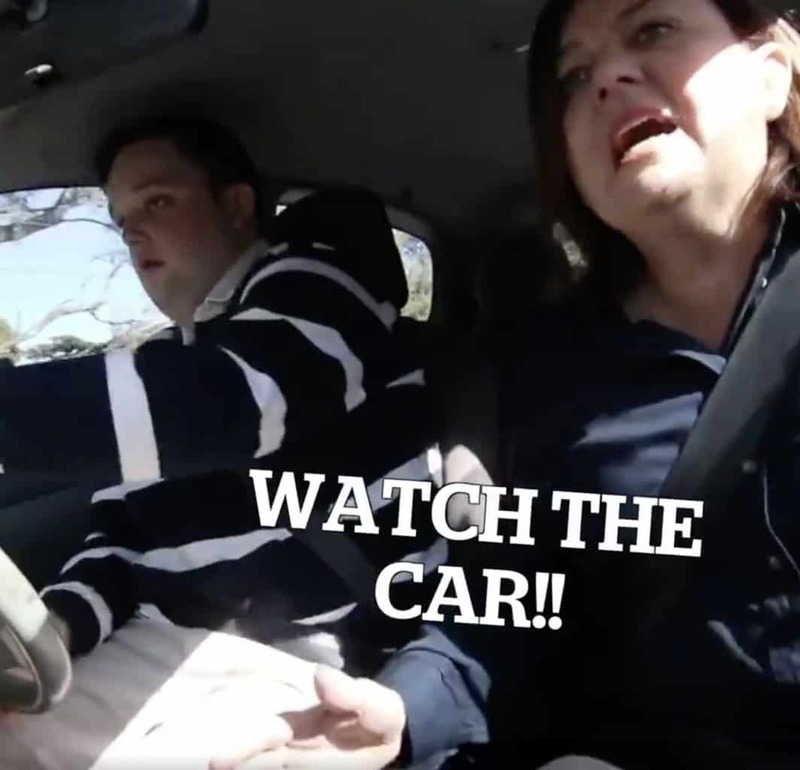 But what I love is watching how differently his dad reacts to his bad driving compared to his mom who seems a little more on edge – just a little… okay, a lot! There’s nothing worse than having your parents as backseat drivers in your driving lessons. This young man wanted to document the different ‘styles’ of parenting he gets from his mom and dad while learning to drive. You can see the fear in his mom’s face and his dad looks dead behind the eyes. Seeing them squirm, flinch and shout is one of the funniest things we’ve seen in a while. I’m sure most of us have been there before. Still, they managed to survive. However, the car certainly had a bump that we weren’t expecting at the end of the video!